Is Major Crimes really gone for good? Recently creator James Duff revealed the cancelled TNT TV show might still have a chance at a seventh season, Deadline reports. As we reported earlier, TNT has cancelled the crime drama after six seasons. 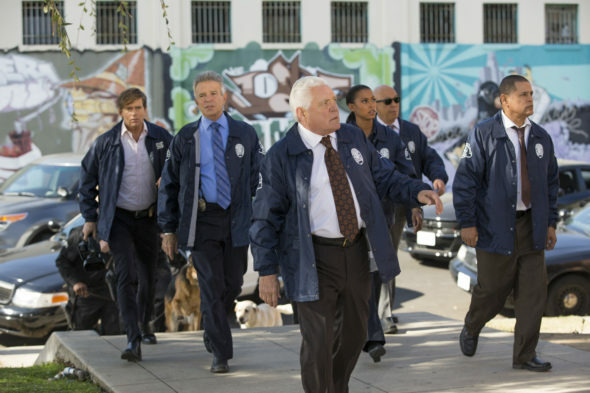 The series follows the further investigations of the detectives in the Los Angeles Police Department’s Major Crimes division. Stars include Mary McDonnell, Tony Denison, GW Bailey, Michael Paul Chan, Raymond Cruz, Robert Gossett, Phillip P. Keene, Graham Patrick Martin, Kearran Giovanni, and Jonathan Del Arco. On Facebook, Duff released a statement saying he hopes Major Crimes will find a new home on a streaming service like Netflix or Hulu. Meanwhile, the series’ sixth season premieres on TNT on October 31st at 9 p.m. ET/PT. What do you think? Are you a fan of Major Crimes? Would you watch the series on a streaming service? Major Crimes was one of the more interesting shows to watch. I am so upset ot may be canceled! Yes, i would definitely watch a reboot on Netflix or Hulu!